In the two wheeler community, it has been a topic of discussion on how the Honda CBR250RR is going to be like. 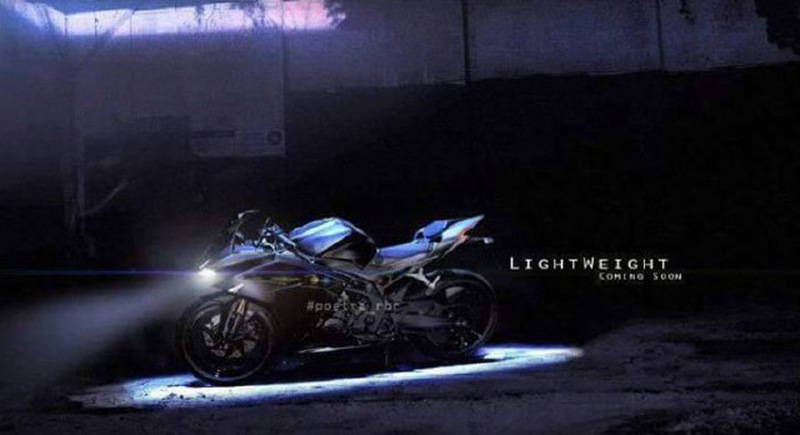 There has been tons of rendering images of the motorcycle, and now the image of the production ready Honda CBR250RR has been leaked online. The Japanese two wheeler manufacturer has codenamed the Honda CBR250RR project as K64A. As the image suggests, the Honda 250RR has taken the design cues from the Supersport concept which was unveiled in 2015. The CBR250RR features sharp dual LED headlamps, sharp fairing and integrated turn indicators in the fairing. The seats come in split layout and the tail lamp comes sporting LED unit. The motorcycle runs on multi spoke alloy wheels while the suspension duty is done by forks at the front and the rear sports shock absorbers. Braking duty is performed by single discs at both the front and rear wheels. Overall the motorcycle is more likely to offer a sporty riding position. The CBR250 will use carbon fairings, which will make this motorcycle pretty lighter, allowing it with a sporty character along with the sharp aerodynamically efficient design. The power source for the Honda CBR250RR is an all new 250 cc twin cylinder liquid cooled petrol engine which is mated to a 6 speed gearbox and makes around 40 PS of peak power. It comes equipped with different riding modes. The motorcycle will take on other two cylinder models like Yamaha YZF-R25 and Kawasaki Ninja 300, both of which are pretty popular. The motorcycle is expected to be unveiled later this year globally. For India, the launch of this motorcycle is not confirmed yet. Although the Japanese two wheeler maker is still tight lipped about the Honda CBR250RR, the leaked image suggests that Honda might reveal official images of the motorcycle soon. Honda CBR is an already popular model lineup from the Japanese two wheeler manufacturer – this model range comprises nearly 20 models with different engine displacements.